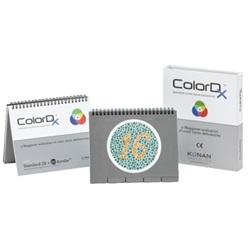 Waggoner standard Color Dx color vision test has 24 plates with numbers on them. 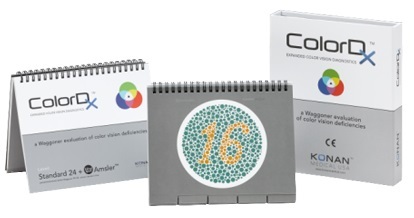 Plates are spiral bound and come with a magnetic, light-protective storage case. Comes with detailed instructions and scoring. Manufactured by Konan. Comes as singles.